4 Bedroom Detached House For Sale in Sheffield for Guide Price £210,000. 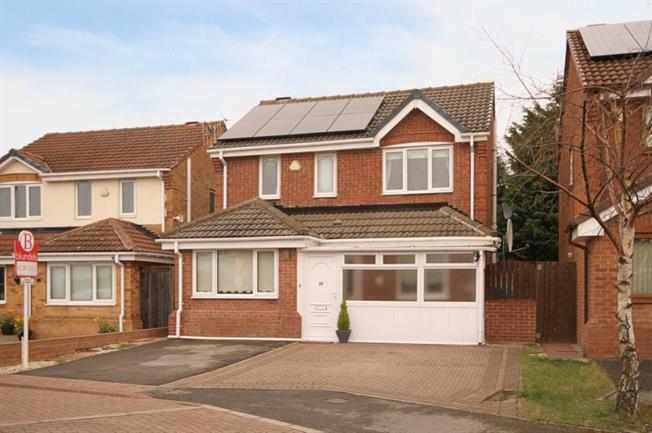 Located within this popular residential cul de sac is this outstanding three/ four bedroom detached house that has been extended to provide larger than average living space. The property has been installed with solar panels to the roof aswell as having the garage converted to provide a further reception room with a double entrance porch, converted garage that can be used as an additional sitting room or bedroom four with spacious well fitted dining kitchen. The standard of living space has to be viewed internally and benefits from gas central heating, double glazing and comprises, entrance porch, hallway with downstairs w.c, study, second sitting room/ bedroom four, utility room, lounge, large open plan dining kitchen with a high range of quality units, three bedrooms to the first floor, master with en-suite and family bathroom. Internally many fixtures have been upgraded or replaced and offer ideal space for a growing family. Outside there is double parking with both front and rear gardens. To the rear there is an outside shed that will be included within the sale. The property is located within easy access to local schools, shops and the Northern general hospital. All viewing strictly via the selling agent.